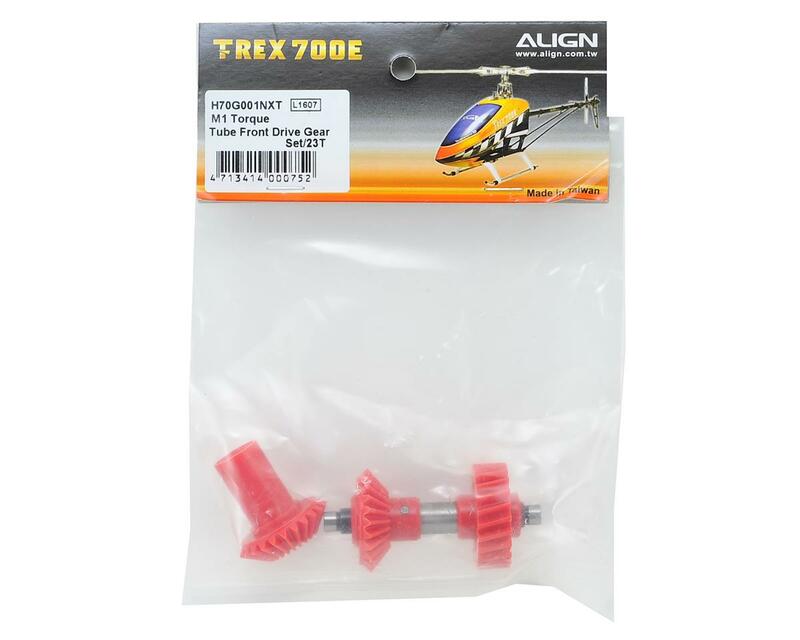 This is an optional Align 23 Tooth M1 Torque Tube Front Drive Gear Set, for use with the Align T-REX 700E and 800E. 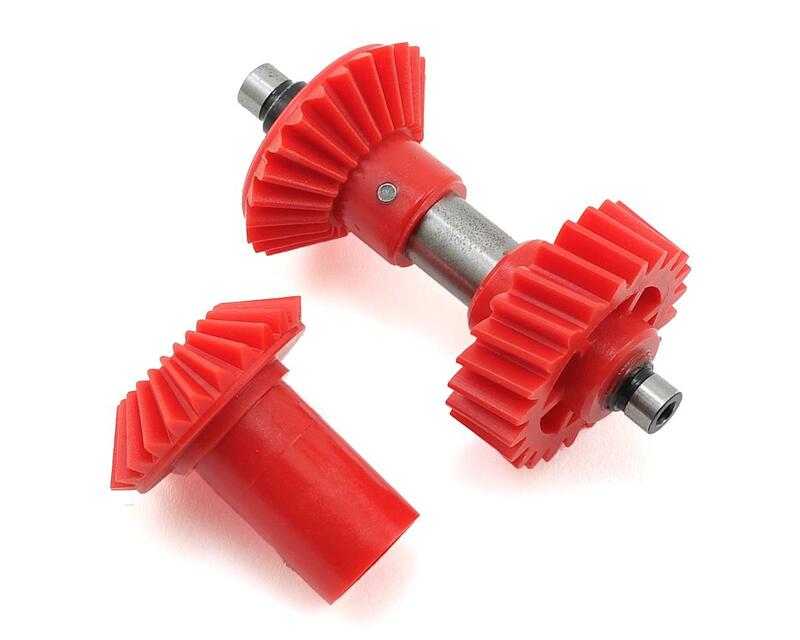 This gear set features an updated low drive gear ratio with high strength and wear resistance material. In terms of performance, this set helps reduce tail vibrations during speedy rotations, maintaining tail lock performance and power output to prevent unexpected structure issue.